Happy new year to all of our patients. We hope that 2014 was a great year for you and that 2015 will be even better. For the new year, why not have a new you? Take advantage of all the new products and treatments we have available to make you look and feel your absolute best. Some of our newest and most exciting products and services include Juvederm Voluma, Ultherapy, Freeze the Fat (Cool Sculpting by Zeltiq), and the MD Solar Mineral Tinted Creme. Voluma and Ultherapy is an outstanding combination patients are loving because Voluma provides the volume to the cheeks that is lost over time and Ultherapy tightens the skin. Together the combination of Voluma and Ultherapy provide a non-surgical facelift alternative for those not quite ready to go under the knife. There is no down time or anesthesia and minimal recovery time. Like Juvederm, Voluma is a hyaluronic acid product that provides volume to areas that need it. 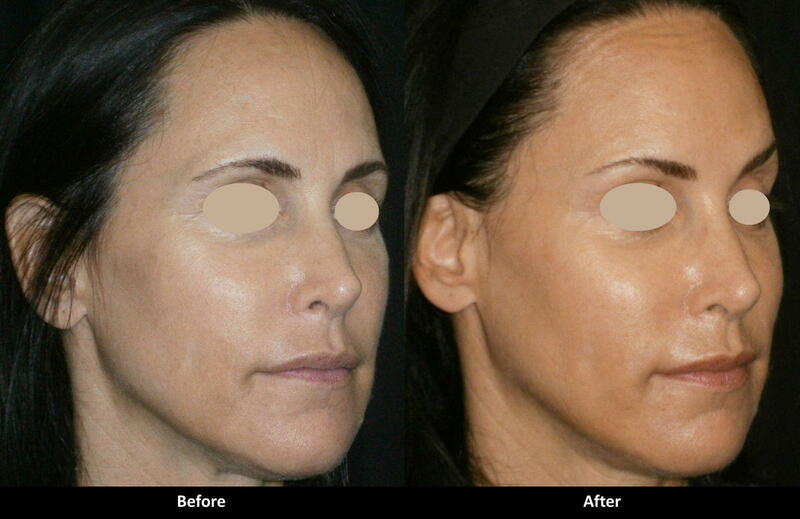 Unlike Juvederm, however, Voluma is used in the upper cheek to pull up sagging skin and it lasts two years. Ultherapy uses the power of ultrasound, the same ultrasound used for expectant mothers, to provide targeted energy to the deep layers of the skin, the same layers addressed with a surgical facelift, but without the recovery associated with surgery. Ultherapy is used to treat any area from the forehead all the way down to the upper chest. To shape your body in lower areas, try Freeze the Fat (Cool Sculpting by Zeltiq), a treatment where cold applicators are put on areas of stubborn fat such as the belly and muffin top. The Freeze the Fat (Cool Sculpting by Zeltiq) applicator is left on for about one hour to cool down the fat, destroying about 20 % of the fat cells. This fat is then eliminated naturally by the body over a few months. Patients are loving the results of Freeze the Fat (Cool Sculpting by Zeltiq). And finally a new sunscreen that is really all in one: the MD Solar Mineral Tinted Creme is a sunscreen that also acts as a moisturizer and foundation all in one. Better yet the MD Solar Mineral Tinted Creme also contains antioxidants to further protect you from sun damage. The matte finish and gentle color are perfect for those who want all the benefits of a full skin care regimen, but don't have time to apply four products at once. Stop by the office yourself to see all the new things we have. Contact us for a free consultation with Dr. Alex.